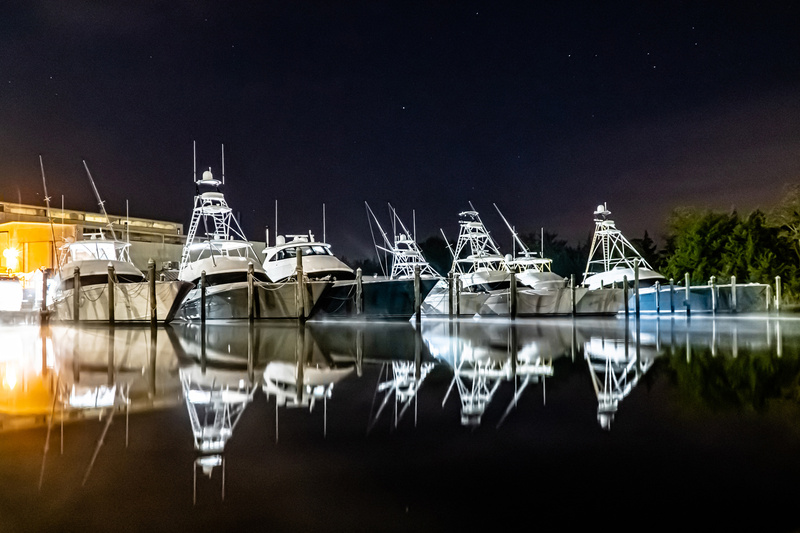 Like her convertible brethren, the 38 Billfish’s flybridge is designed with a tournament-style center console walk-around helm. Two helm chairs are optional. The 38 Billfish’s command deck holds a salon-like living area that includes a port-side U-shaped dinette and a fiberglass hi-lo table. The cockpit is the largest in its class—109 square feet with mezzanine seating. Below, there’s a large forward stateroom available with either a single queen bed or optional crossover bunks and two hanging lockers; an L-shaped galley; and a head with enclosed shower. 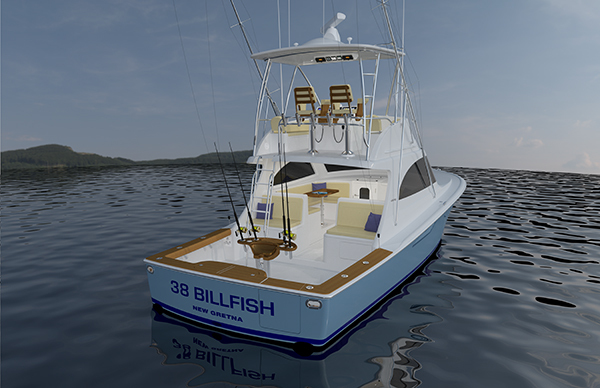 The 38 Billfish and 38 Open share the same hull, cockpit and have a similar mechanical arrangement but differ in command deck and bridge configurations. The 38 Open’s command deck also has ample seating, with port and starboard L-shaped lounges and storage below. A raised centerline command station gives the driver excellent sightlines. Accommodations include a forward stateroom with a lower double bunk and upper single and a hanging locker; a starboard-side sofa with storage; a port-side galley; and a head with enclosed shower.